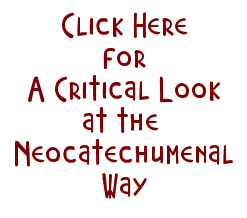 Maybe there is more than one Neocatechumenal "Fr. Adrian" running around Oceania, but it's not very likely. He'll gladly go to Papua New Guinea, Australia, or Canada, but not it seems, to a small village on his own island. He is willing to travel there because no one knows of him, or his history. Alas, the people of the southern village of Guam, know of this person and the horrid history associated with him. about "Eucaristic bread" ecc. read my books, "Kiko Arguello, santo o impostore? ", pages. 480. (Chapter XV, Alla conquista dei 5 sensi), and "Kiko, ti voglio parlare" pages 140 (pages 6-10). I want to send you the whole books, hoping you transle them in English for Guam, and USA. Please, send me your email. If St. Paul's has Winter semesters, there's nothing strange about Cristobal going there in January. The problem arises if he's just socializing in wealthy Ottawa until the fall semester starts in late August or early September. Is Apuron hiding in Canada too? The obstructively liberal bishops there are just his speed. Wow expensive flight plans! Who pays? Archbishop Byrnes. There is a Father Adrian Meaney from Sydney who does missionary work. Could this be him? That's a very strong possibility, one that I didn't consider. Note to readers: please post any sightings of our Adrian (Cristobal) here. Thanks! 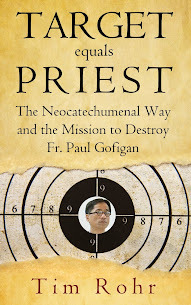 Important any sightings of Fr.Cristobal be posted. Be it in Guam, Canada, or Sydney pictute post. If Cristobal is actually enrolled at St. Paul's and attending required classes there, sightings of him should be easy to record with mobile phone cameras. He might also be videoed at local gay bars. If he's not attending all prescribed classes, notify Byrnes. If he doesn't take immediate corrective action, make a loud public statement about it. 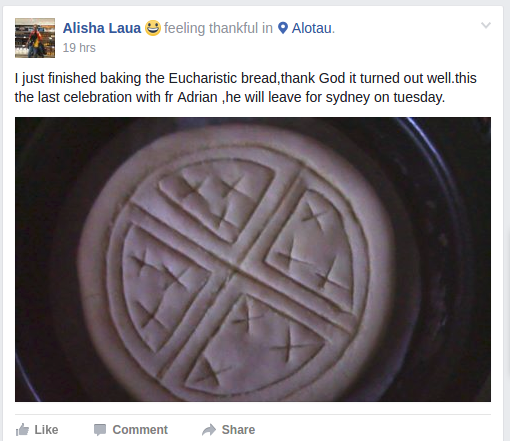 Is this another NCW tactic to whisk Adrian away to a foreign country to avoid having to face music for all the atrocities he has inflicted upon the Archdiocese of Agana? Is Byrnes a party to this cover up attempt also? They use the reasoning to further Adrian's Canon Law studies, however Adrian disappears into hiding as has been done in the case of Apuron, Wadeson, and Louie with his gift of tongue. Bingo, Anon 9:37AM! Gutless Byrnes did it on orders from Rome. They're still protecting perverse Apuron and his twisted cronies. In these times when the local Faithful is more aware and keen to the prosecution of sexual abuse by clergy and to the civil lawsuits filed over these matters, one would think that the Church leaders would be smart enough not to try to pull the wool over the Faithful’s eyes in the Aiding-and-Abetting Department, but it continues right under our noises and before our eyes with this Adrian canon law studies maneuver. Loosely and generally speaking, this can be a civil and/or criminal problem for the deciders of this Adrina-canon-law-studies plan. The prime distinction between civil conspiracies and aiding-abetting is that a conspiracy involves an agreement [between Abp. Byrnes, Filoni-Baloney, No-Balls-Adrian and/or whomever] to participate in a wrongful activity [i.e. whisk No-Balls-Adrian, a key witness to the child sexual abuse lawsuits, to Ottowa]. Aiding-abetting focuses on whether a defendant [Byrnes] knowingly gave ‘substantial assistance’ [i.e. whisk No-Balls to Ottowa to make it difficult (difficult, not impossible) to extract information from him] to someone who performed wrongful conduct [i.e. No-Balls-Adrian]. In this latest move, local clergy leadership could be breaking the law [9 GCA § 55.15 Hindering Apprehension or Prosecution, for one] and such decisions and ensuing actions undermine the clergy's preaching from the pulpit over the many lessons of the gospel.